MY HUSBAND, GENE RICHARD MOSS, M.D., A BOARD-CERTIFIED PSYCHIATRIST, AND I HAVE LIVED IN VERO BEACH THESE PAST TEN YEARS. Last year as a county-wide candidate for Hospital District, I felt honored to receive a majority of the total vote from the precincts comprising the City of Vero Beach, demonstrating the voters’ confidence in my ability to address complex issues and to represent their best interests. Although that position was not to be, campaigning for it gave me the opportunity to know and love our community in a deeper way. This past March, I was elected Member-at-Large of the Utilities Commission by the Vero Beach City Council. Serving as a Commissioner has afforded me first-hand experience and additional insight regarding the workings of our City. From my previous business career as Director of Sales Promotion for Sterling Optical, Inc., (NY), a national firm listed on the NYSE, I gained experience working in a high-pressure environment with responsibility for producing results while managing a large budget and staff. These different experiences, I believe, will make me a strong member of City Council. I come to this race with a familial history of service to this community. My mother was a volunteer of the IRMC Auxiliary for more than twenty years, and my father held elected positions as President and as Treasurer of the Vero Beach Highlands Property Owners’ Association. 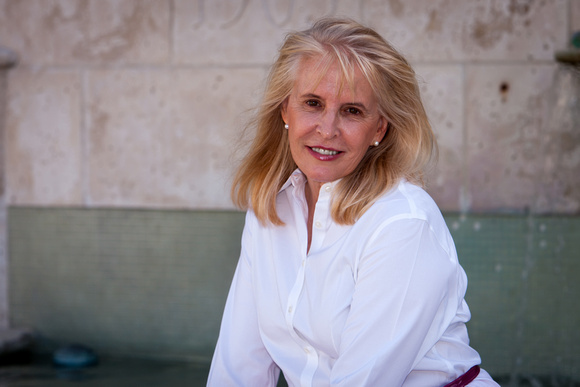 I myself serve on the Steering Committee of The Circle at the Vero Beach Museum of Art and as Chairwoman of Literacy Outreach for the Rotary Club of Vero Beach Oceanside. Listening to the community during the course of my campaign, two issues repeatedly come to the fore. High electric rates and increasing taxes. The major stumbling blocks to lower electric rates are the OUC (Orlando Utilities Commission) contract and the FMPA (Florida Municipal Power Authority) contract. The purpose of these contracts was to stabilize and lower power rates for us. Ratepayers know this has not happened. With regard to the OUC contract, it was passed in 2008 by the then-Vero Beach City Council. Soon after it passed, changing general, economic conditions as well as changing conditions within the energy sector rendered it a bad deal. It remains so today. As Member-at-Large of the Utilities Commission, I currently am reviewing this contract as it is being renegotiated; however, these negotiations have been underway for more than a year and still remain problematic. With regard to the FMPA contract, an Operational Audit of the FMPA conducted by the State of Florida in March 2015 uncovered losses of almost $250,000,000 since 2003 and activities “not consistent with industry practices.” This is an egregious situation most likely requiring legislative and, possibly, legal action to remove us from these hazardous entanglements. I would encourage and support the measures necessary to do so. As for increasing taxes, I was against the initial, proposed increase of 30% and the subsequent, proposed increase of 17% that was adopted. This increase in taxes is in addition to the almost 8% increase in ad valorem taxes that reflects the increase in appraised property values. The city’s tax increase comes at the same time that Indian River County and other taxing authorities such as Hospital District also have raised their tax rates for the coming year. The additional $1.1 million tax revenue for the City, resulting from this tax increase, largely will fund the addition of new employees to its payroll and an increase in salary and benefits for existing employees. Given the current context, general and local, I would not have pursued these actions.